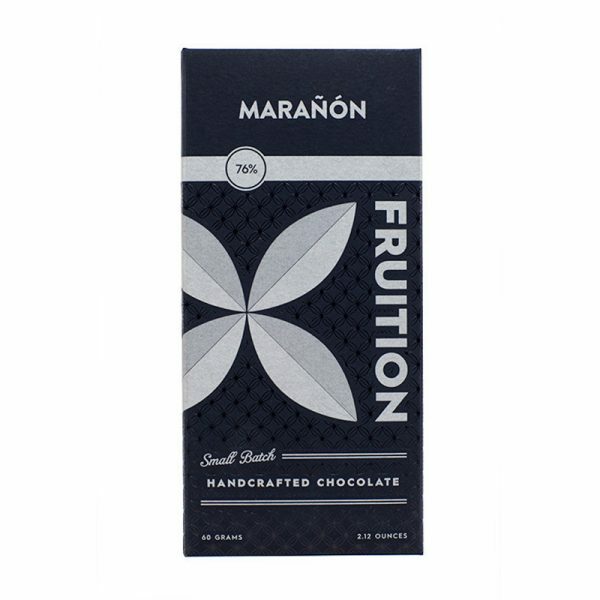 A dark and smoky dark chocolate bar made from Peruvian beans, and created by artisan chocolate maker Chapon. 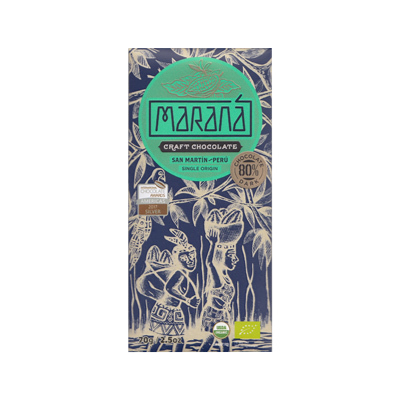 This dark chocolate is made using rare cocoa beans from the Maranon valley of Peru. 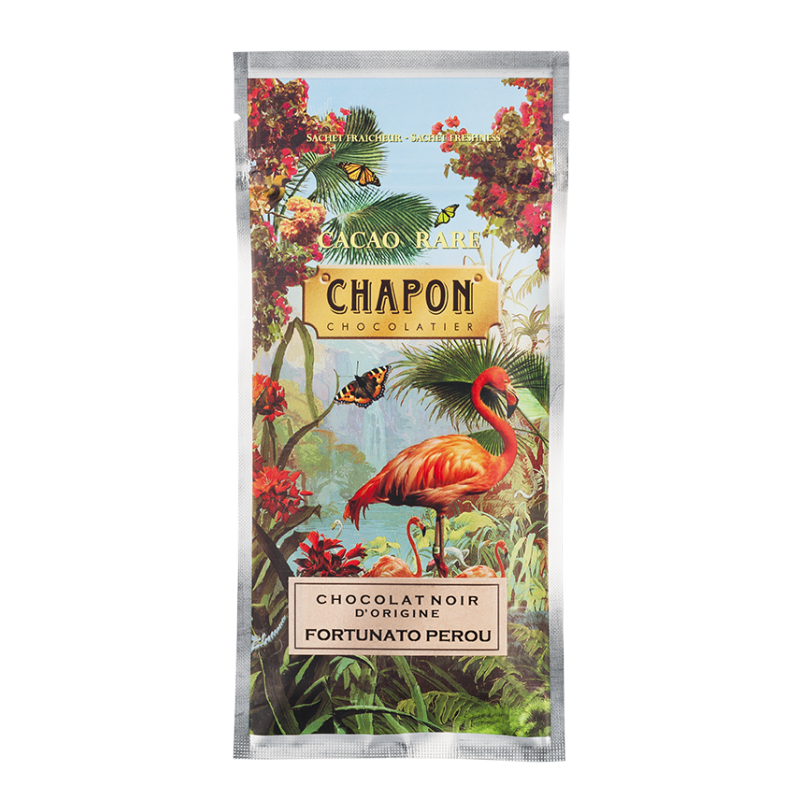 Patrice Chapon has crafted some spectacular and unexpected notes from these beans. As ever, the thin bar has a silky texture thanks to the high cocoa butter. It has a smooth melt that reveals striking flavours. There is a lightly smoked aroma discernible throughout. As the bar develops, we discovered spicier hints and some dried fruits. These notes mixed with the smoke, creating an almost floral aroma. A interesting bar, the overall profile is very different from what we have come to expect from beans of this region of Peru. It’s a great example of how different beans from the same region, (let alone the same county) can be. Of course, the flavour is not just a result of terroir. 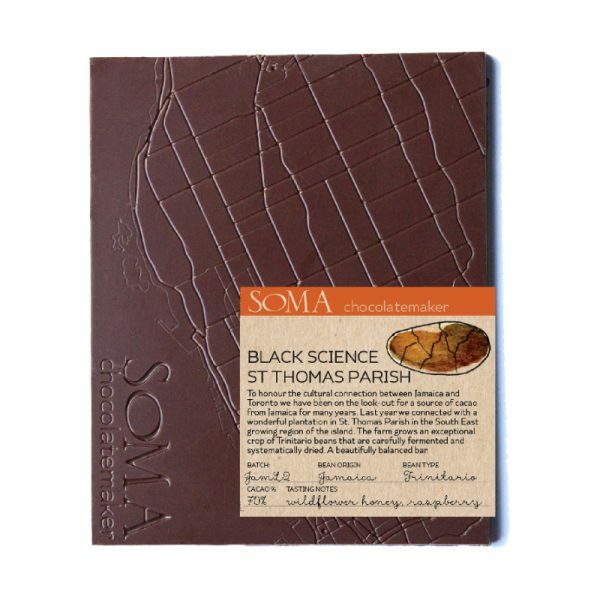 Patrice Chapon has crafted a dark chocolate that reflect his own ‘chocolate personality’. 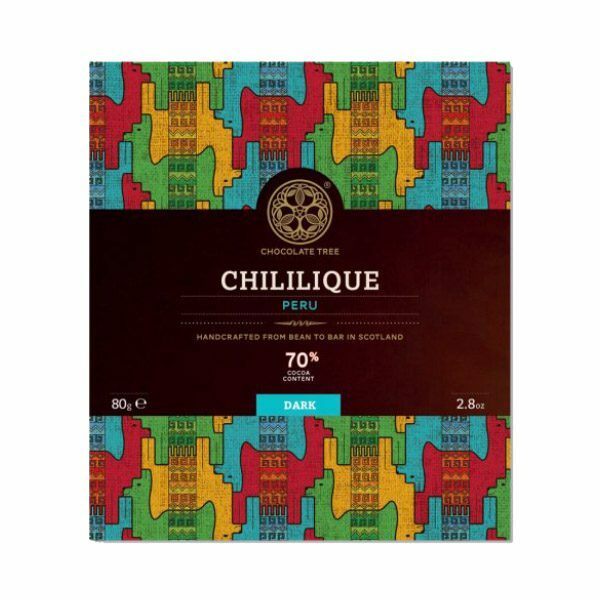 He has coaxed out particular flavours from the beans, and crafted a bar with his characteristically smooth and buttery texture. Making chocolate from the bean is a long process, and Patrice Chapon journey to becoming a ‘bean to bar’ chocolate maker took many years. After completing a degree in patisserie, chocolate and ice cream and working in restaurants in France, Patrice moved across the channel. Here he joined La Maison Du Sorbet, who supply ice creams and sorbets to Buckingham Palace. He became fascinated by chocolate during his stay in England, and has said he took trips to Harrods daily to visit the chocolate hall. Returning to France he set up a workshop in Chelles making truffles from boutiques in Paris. By popular demand, Patrice went on to open his own shop, followed by several more in Paris. In 2010 he set himself a new goal – to make his own chocolate directly from the bean. Patrice had to research, find the right equipment and even make his own machines, specially adapted to his requirement.